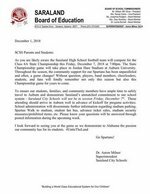 Please see the attached letter from Dr. Milner regarding no school this Friday. 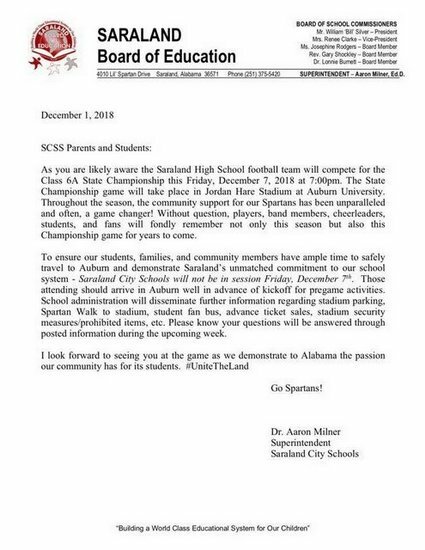 We look forward supporting the Spartans in Auburn, AL. Go SPARTANS! !